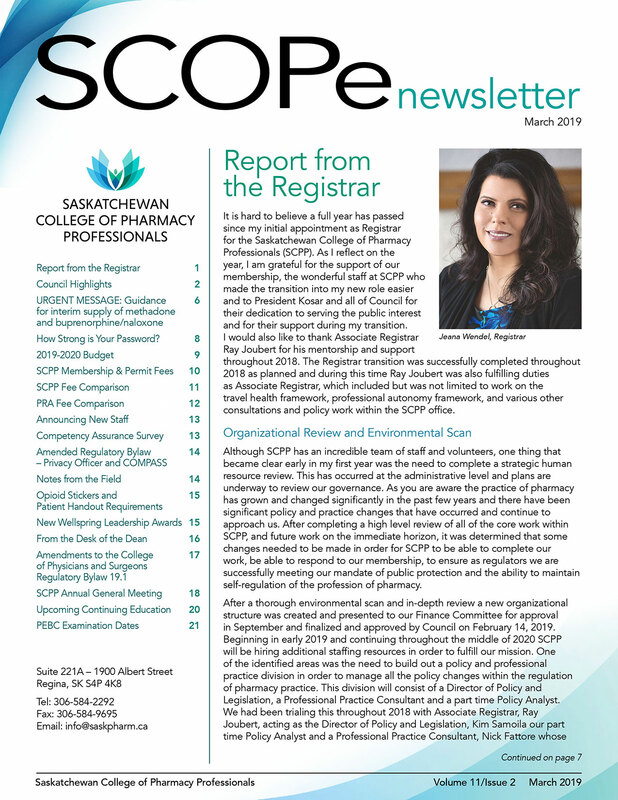 The SCOPe and MicroSCOPe newsletters are one of the ways the College provides information to pharmacy professionals practising in Saskatchewan. Topics may include highlights from Council meetings, legislation and bylaw changes, drug schedule changes, COMPASS updates, scope of practice changes, budget summaries, fee changes, convocation highlights, announcements of events, etc. 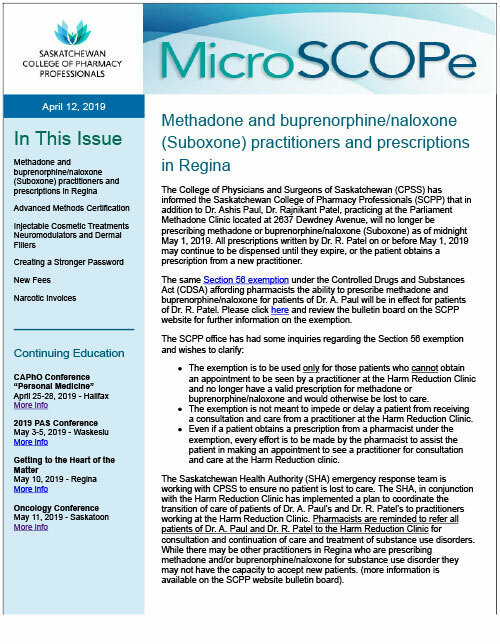 Pharmacy professionals are responsible for all regulatory content in all SCPP newsletters (SCOPe, MicroSCOPe and [directions]). the most recent SCOPe newsletter. Click here to download the most recent MicroSCOPe edition.